Spring Circle Retreat at Cherry Tree Lodge – Fife, Scotland. 5pm Thurs 30th May – 2pm Sun 2nd June, 2019. A repeat of our 2018 Summer Solstice event, this 3 day Spring retreat, is an opportunity for deep reflection, reconnection and reSourcing for women who are called to or already engaged in transformative work, and who want to strengthen their courage and capacity to bring their authentic feminine voices and wisdom forward through their leadership. Rising Connected will help you deepen your connection with your authentic voice, your heart and your Soul’s call to lead, whilst being held by nature and a warm community of other inspiring women coaches, therapists, healers and change leaders. Join us for a relaxed community day at my home in Central Scotland for the Spring Equinox. This will be a gentle, creative day in Circle, to share our personal and collective dreams and reveal the past conditioning that we want to consciously surrender this year. As we connect and explore together, we’ll weave the beautiful prayer beads into our altar cloth and spend sacred time at The Women’s Fire. 6th – 8th October, 2017. Newbold House, Nr Findhorn. 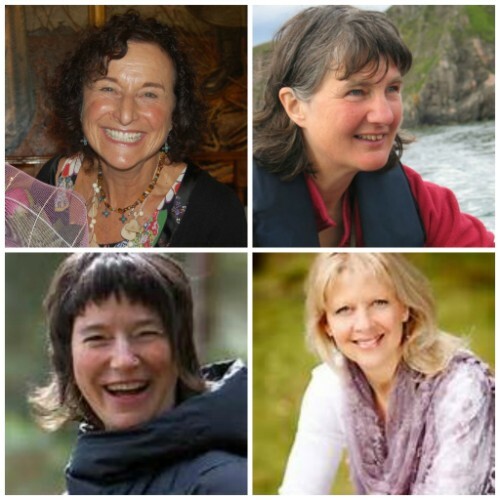 The Women’s Council is hosted by Joey Walters, founder of Awakening Feminine Leaders, in collaboration with TARA Approach founder Dr. Stephanie Mines; movement therapist Deborah Jay-Lewin; Scottish novelist Margaret Elphinstone; singer/songwriter Eleanor Brown and more, all of whom are co-participating. On the evening prior to The Women’s Council, Joey Walters will be speaking alongside Stephanie Mines, Margaret Elphinstone and Deborah Jay-Lewin. Singer/song writer Eleanor Brown will also be performing the song she wrote for Joey’s 2014 Teleseries ~ ‘A Call To Stand’. Join us for an inspiring evening and then come to The Women’s Council retreat which starts the next day! TEDx tickets will be on sale from August.